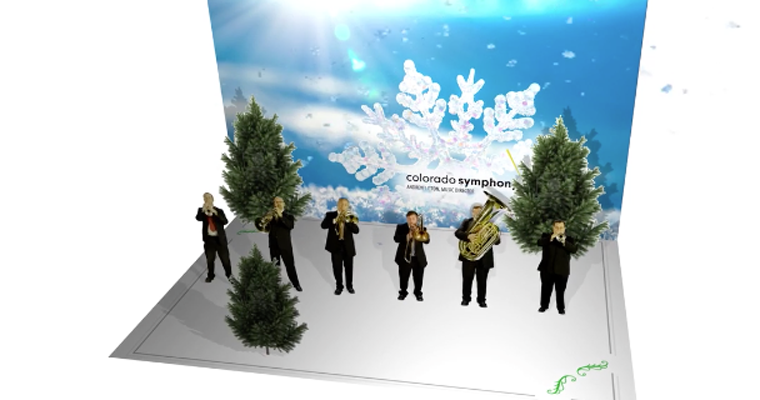 The Colorado Symphony Holiday Video Card from Manmade Media Studio on Vimeo. We truly pushed every inch of our space to accommodate this brass section of Colorado Symphony Orchestra, and it ROCKED! We came up with a clever holiday card idea with the brass section popping up to play a short jingle. CSO used this video as a social media plug and had great response from the patrons across the board. Always fun to hang with these incredibly talented folks! Creative concept, green screen studio shoot, and post production.